With less than $200 million to his name, Sen. John Kerry is only the second richest member of Congress, behind Rep. Michael McCaul. The Hill, a political newspaper, unveiled its annual list of the 50 richest lawmakers on Tuesday. Rep. Michael McCaul, a Republican from Texas, held on to the top slot with a cool $290.5 million. "McCaul remains in the stratosphere of the very richest members of Congress," said The Hill, noting that his wealth "stems from several family trusts," and that his father Lowry Mays founded Clear Channel Communications. His value actually rose by $3 million in 2011, the time period covered in the list. McCaul is far ahead of his challenger, Sen. John Kerry of Massachusetts, the wealthiest Democrat in Congress, who reported a net worth of $198.8 million last year. That's a $5 million increase from the year before, even though in 2010 he only made No. 3. 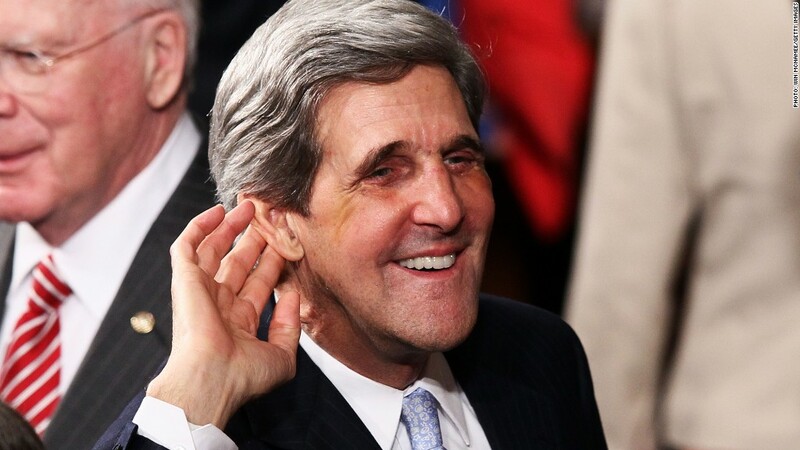 Much of Kerry's wealth comes from his wife, an heir to the Heinz Ketchup estate. Rep. Darrell Issa, a Republican from California, dropped one notch from 2010 but still placed third. The Hill said his wealth plunged about $80 million to $140.6 million. He is the founder of Directed Electronics, a maker of car security systems and also has a high-yield trust worth $50 million as well as bond holdings. He took on $50 million worth of personal loans last year, which The Hill said was the main reason his estate took such a big hit. Rep. Jared Polis, a Democrat from Colorado, come in fourth, with $91.1 million, after his wealth soared by $25 million last year. His portfolio includes a blind trust and tech company holdings. The fifth richest lawmaker is Sen. Mark Warner, a Democrat and former Virginia governor, with $85.9 million. The Hill said his assets include investment funds, bonds and a $1 million life insurance policy. Rep. Paul Ryan, a Republican from Wisconsin and a candidate for the vice presidency, is worth a relatively paltry $2.2 million and didn't make the cut. Even though Democrats make up three of the top five on The Hill's list, Republicans outnumber Democrats, 31 to 19.